One year after arriving in Tulsey, Annie Mowbray married merchant T.J. Archer. 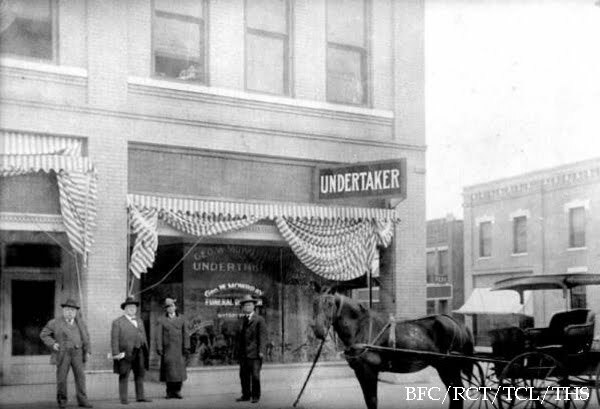 His untimely death occurred in 1895 and her father, George, retired from the ministry and returned with Hannah to Tulsey as a businessman and to help manage the Archer store. 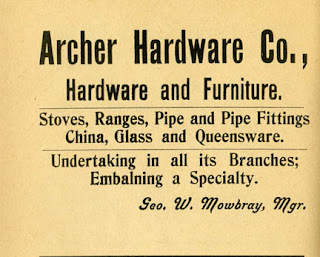 Along with selling a full line of furniture, hardware and implements Mowbray went to school to learn the skills required to organize an undertaking business. Mowbray became active in all civic aspects of Tulsa as well as serving as the Methodist Episcopal Church for 11 years, helping it grow. 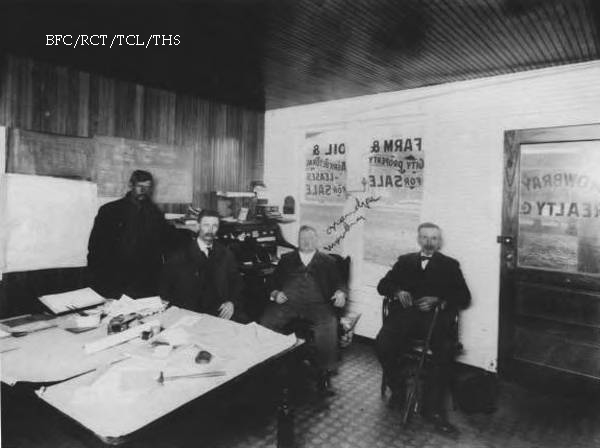 In 1903 it was clear that a larger church was needed but not everyone agreed on where to move. Some wanted it to be built on the same site as the Little White Church, but others wanted to move south, the direction the town seemed to be moving. 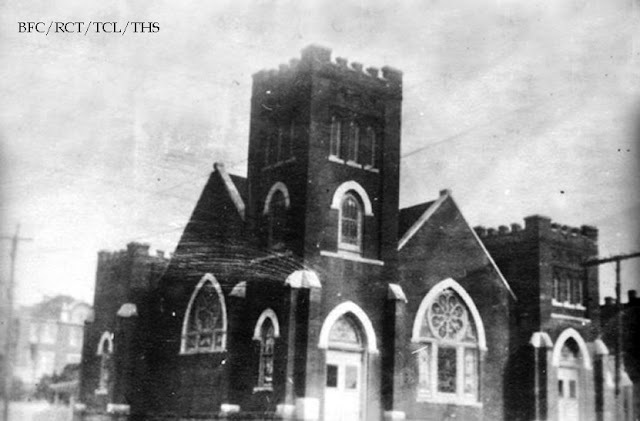 So, those who preferred to move north left the First Methodist Church to establish the Tigert Memorial Church, later renamed the Centenary Methodist Church. 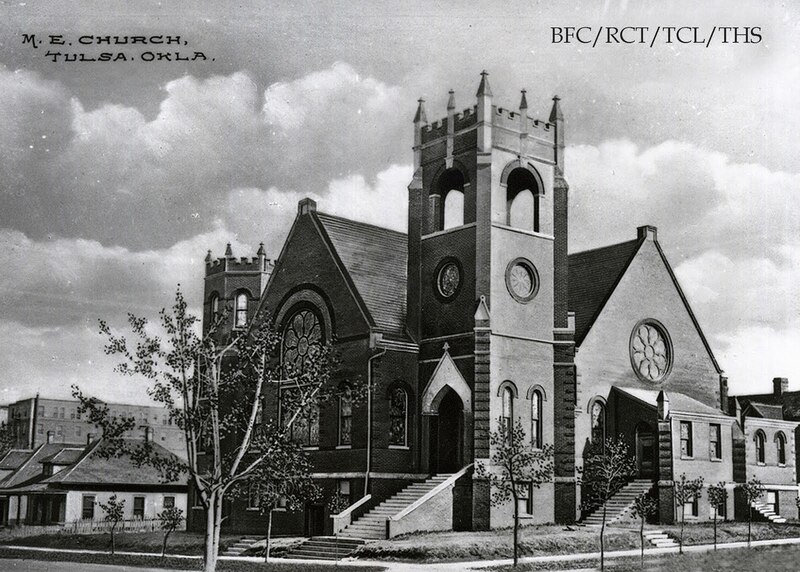 The new church was built on the northeast corner of Fifth and Boulder. Tulsa's first school was built next door to the Methodist Church and George was the first president of Tulsa's Public School Board. 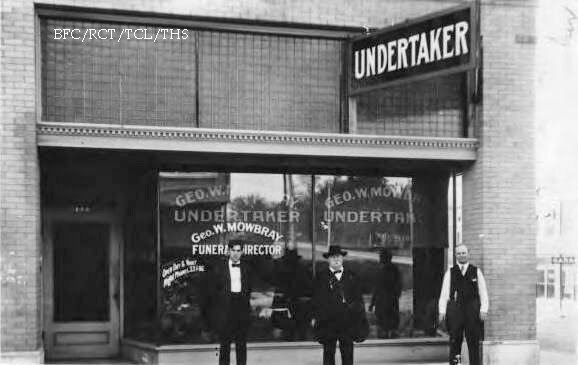 He was one of the founding members of the Tulsa Commercial Club, now known as the Tulsa Metro Chamber of Commerce, traveling many miles with others to help promote Tulsa. 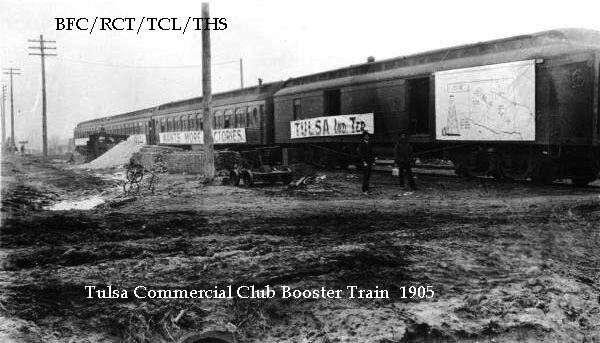 And was instrumental in influencing the Santa Fe Railroad to extend its line to Tulsa. 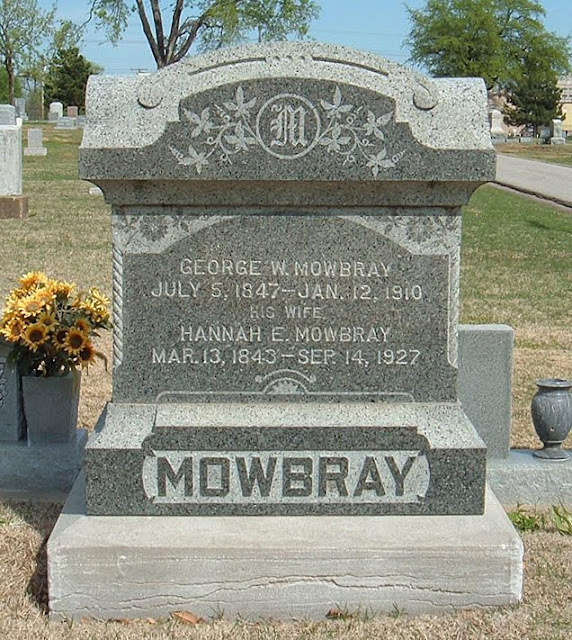 George Mowbray also served as Tulsa's 5th mayor in 1903-4. 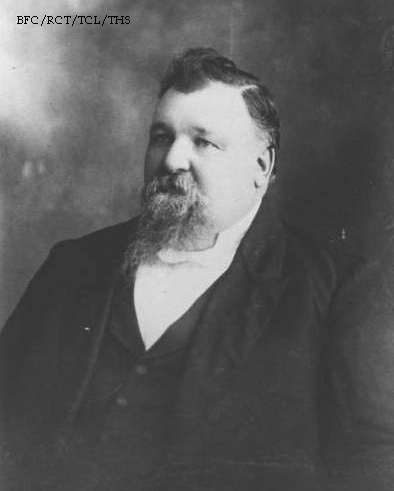 Mowbray eventually disposed of the mercantile interests and focused on the undertaking business until his death, of natural causes, January 12, 1910. He is burred at Oaklawn Cemetery. Hello there! 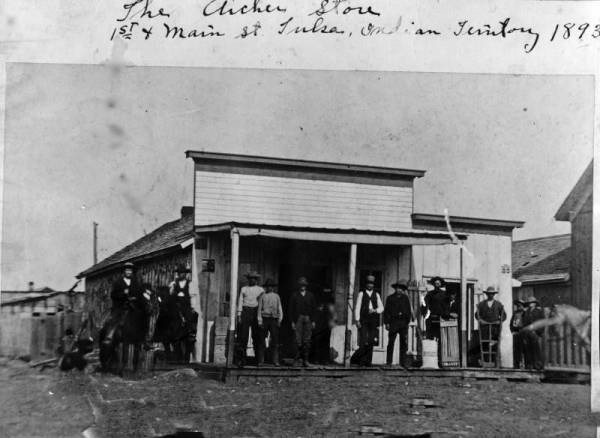 If you love Tulsa and it's rich history, then you should enjoy my blog because so do I! I am a 2nd generation Tulsan, 3rd generation Oklahoman. My grandfather (mom's dad) worked for the city as an engineer from 1922 until 1964 and my g-g-uncle (dad's side) was the 4th Governor of Oklahoma. I was a volunteer (aka Guardian) at the Tulsa Historical Society and have been privileged to help out with research as well as develop some educational programs that are taken out into the community. I absolutely love research and decided to share some of my findings here back in 2007. While I no longer am active at the museum or in blogging, this site is left up as a resource to homeschoolers and other private schools who still teach local history. 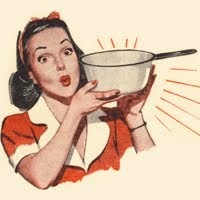 I hope you enjoy this blog and find it useful. Most of the photos used here are from the Beryl Ford Collection. Credit is noted on photos.